DIY Flux – Make cheap flux at home. If you’ve been soldering for a while now, you probably know what a wonderful thing flux can be, but if you haven’t and you just heard about it, you should still consider reading this article for I’m going to give you a few tips on how to make flux at home, cheap and easy. Solvent, this can be isopropyl alcohol or rubbing alcohol in case you can’t source the former, the latter will leave several residues behind but it’s still useful. Other solvents can be used, including Acetone — But I don’t recommend it. 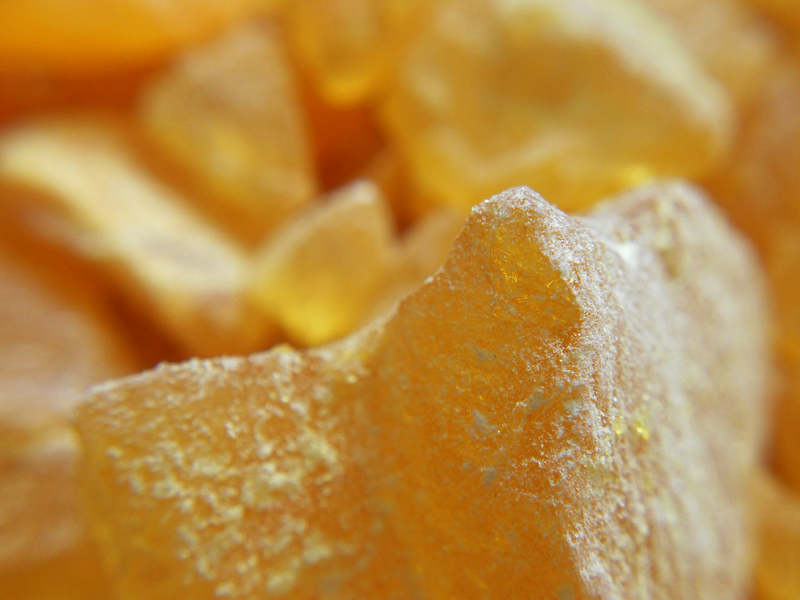 Colophony rosin, it has to be crystallized and you can find it in some hardware and music stores. The latter tend to sell molten blocks of it, which isn’t as good for this purpose but will work nonetheless. Another place to find it (mind you, lower quality rosin) is at the fitness store, rosin is used to give you an improved grip. It is therefore also sold at any outdoor store that carries climbing equipment. 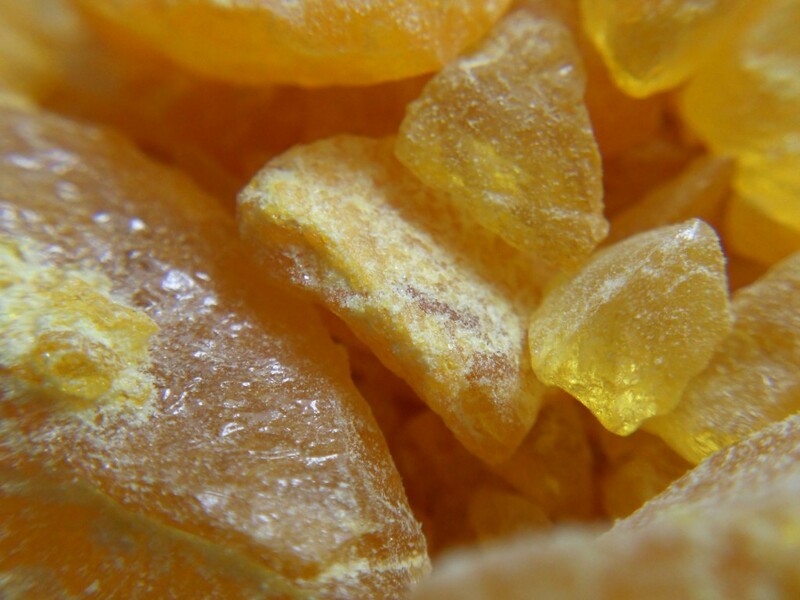 Place the rosin inside the jar, if you can’t wait for it to dissolve you’d want to grind up the crystals to a fine dust, this will vastly improve the time it takes to dissolve from hours to minutes. Add your solvent, start with a small amount and keep adding until you are happy with the way your flux behaves. You may want to wait at least an hour for all the rosin to dissolve properly anyway. That’s all there is to it, an interesting thing I noticed with my old batch of flux (probably two years old by now) is that it actually smells like whiskey, so keep it away from any alcoholics eh! 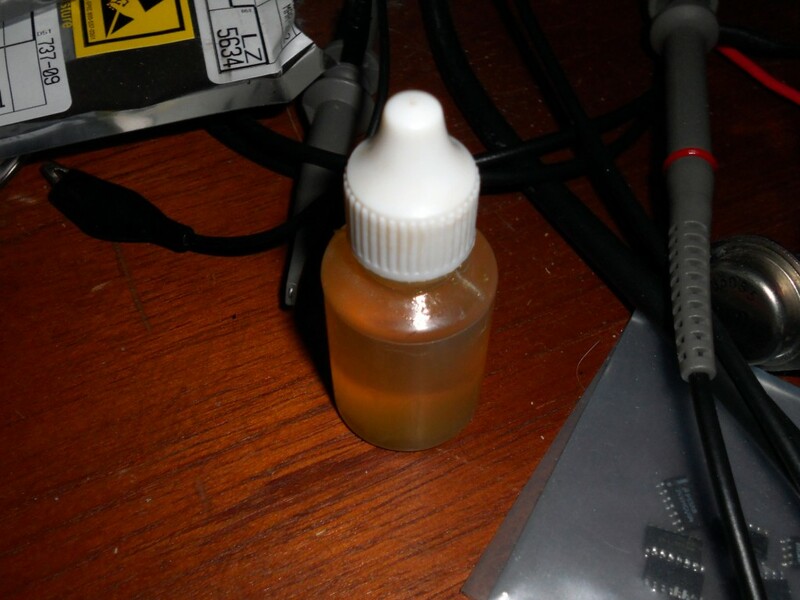 About 60ml of solvent per 6 grams of rosin was used in this case, giving a relatively heavy flux. 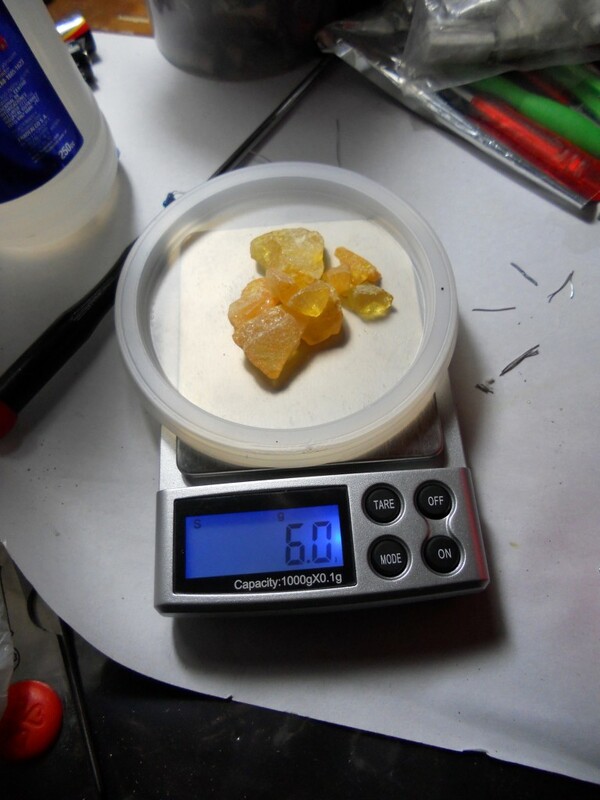 There is no ideal rosin to solvent ratio, it all depends on what you’re doing. For instance if you are tinning heavy wires, a thicker / heavier flux will serve you better than a very runny, thin flux that would otherwise serve you better if you were working with SMT, for example drag-soldering a fine pitch IC. For this reason I can only recommend you experiment until you find the perfect ratio for your work. But I will nonetheless give you a couple estimates based on my observations over the years. To clean it up you just need some extra solvent. Sorry, this is not a “no-clean” flux. If you want to make flux paste the method is similar but involves heating the mixture and almost reversing the ratios as well. I’m not a big fan of this method since it can lead to an almost uncontrollable fire, but other than that the end-result may be worth it for you. That’s it, enjoy and let me know if you’ve got any recipes of your own!